NEW YORK US Airways (LLC) made its best profit ever for the three-month stretch that covers much of the peak summer vacation season. Net income for the third quarter totaled $245 million, or $1.24 per share, compared with $76 million, or 41 cents per share, a year earlier, the airline said Wednesday. Shares of US Airways rose 45 cents, or 3.7 percent, to $12.54 in trading before the opening bell. The results are especially important to US Airways Group as it pursues a merger with American Airlines. 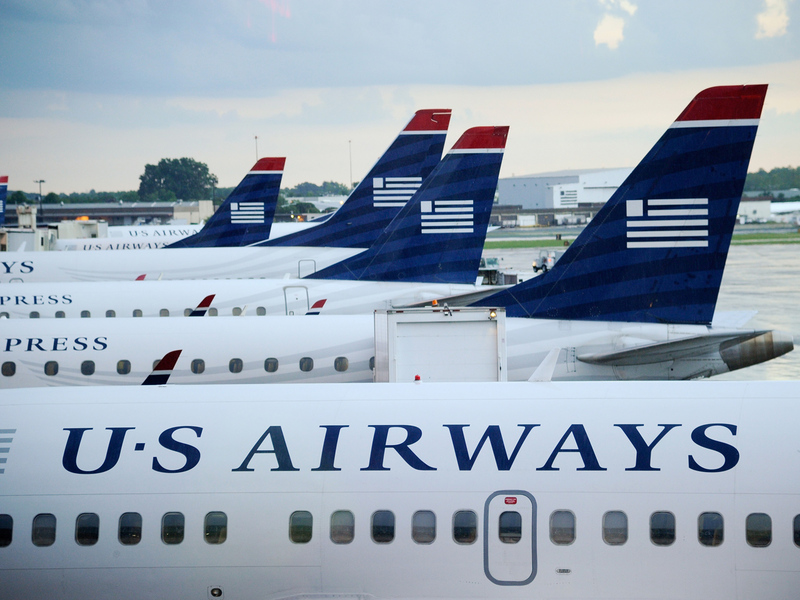 US Airways, the nation's fifth-biggest airline, is trying to impress American's creditors that a combined company would be more successful than American can become on its own. American, meanwhile, made an announcement on Wednesday that seemed to suggest that its parent, AMR, can grow just fine without a merger. It unveiled new flights next year to South Korea, Germany, Ireland and Peru. US Airways reported that before gains such as the sale of airport landing slots to Delta Air Lines (DAL), it would have earned $192 million, or 98 cents per share, in the third quarter. Analysts were expecting 92 cents per share excluding one-time items, according to FactSet. Revenue rose 3 percent to $3.53 billion but fell short of analysts' expectations of $3.55 billion. CEO Doug Parker said the revenue environment remains strong. Travel demand and a limited supply of airplane seats have allowed airlines to raise prices about a dozen times since the start of 2011. The Tempe, Ariz.-based company said it would give more details on the outlook for revenue, spending, changes in the number of flights and other details during a conference call with investors later Wednesday.